3 Secrets to Baking Perfect Chocolate Chip Cookies (c) 2010, Michele Dorsey. All rights reserved Do you remember coming home from school to find a fresh plate of cookies waiting for you on the kitchen table? Ask anyone what their favourite cookie was as a kid, and 9 times out of 10 they will say chocolate chip. Who can forget the smell of warm cookies, oozing with melted chocolate? Or the delicious blend of butter and chocolate on their lips? Here are a few simple secrets that will allow you to use your favourite recipe to create perfect chocolate chip cookies every time you bake. Secret # 1 â€“ No matter what your recipe calls for in the fat department, substitute it with half butter and half vegetable shortening. This mixture allows the cookie dough to spread evenly, without getting too crispy. You will find that using this mixture makes a fuller, chewier cookie with a nice texture and wonderful flavour. Secret # 2 â€“ For each dozen cookies that your recipe makes, add 1 tablespoon of cornstarch and 1 tablespoon of corn syrup. These additions will ensure that the centre of the cookie stays soft and gooey even if you end up over baking the cookies slightly. Corn syrup absorbs moisture from the air to keep the cookies moist. The cornstarch helps to hold onto the moisture. The combination guarantees a soft, delicious cookie. Secret # 3 â€“ Use an ice cream scoop for portioning your cookies, not a tablespoon. The scoop creates the perfect shape for the dough. It allows the dough to spread evenly on the cookie sheet. Using a scoop also makes the cookies the same size and weight. This is important for helping the cookies bake evenly, creating perfect cookies every time. A size 40 scoop works well for lunch sized cookies. If you want to create monster cookies, use a size 16. Scoops can be found at any kitchen supply store. 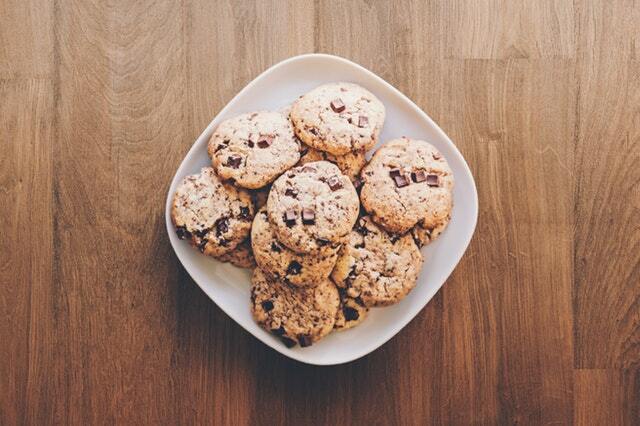 Investing in one or two will cut down on a lot of the work of portioning cookies, giving you more time to eat them. By using these three easy secrets, you too can make perfect chocolate chip cookies every time. The next time your kids, young or old are looking for a tasty treat, use these secrets to create memories that will last a life time.